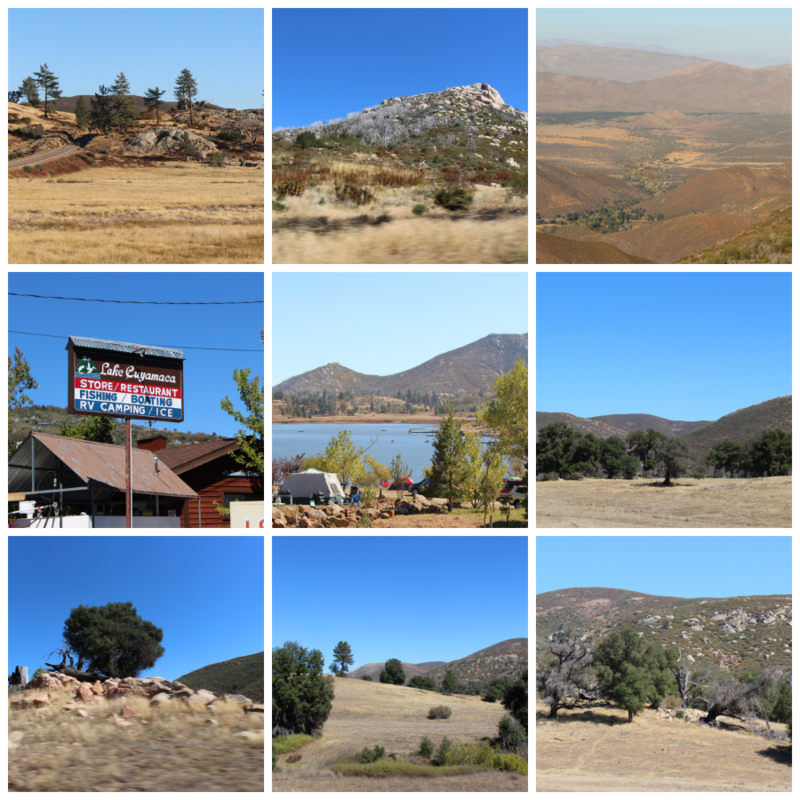 Not “A Day in Julian”, not “A Trip to Julian”, but “A Drive to Julian”…for me, it was the highlight of our day trip to Julian, CA. We first heard about Julian on our house-hunting trip while waiting on a cup of coffee. A table of very friendly older gentlemen struck up a conversation about the meteor shower expected that night/early morning, which lead them to telling us all about Julian and their famous apple pies. Well, of course, they had me at pie and it was immediately added to the “to-do” list for California. So, last Saturday we went on the hunt for apple pie (and of course some beer). 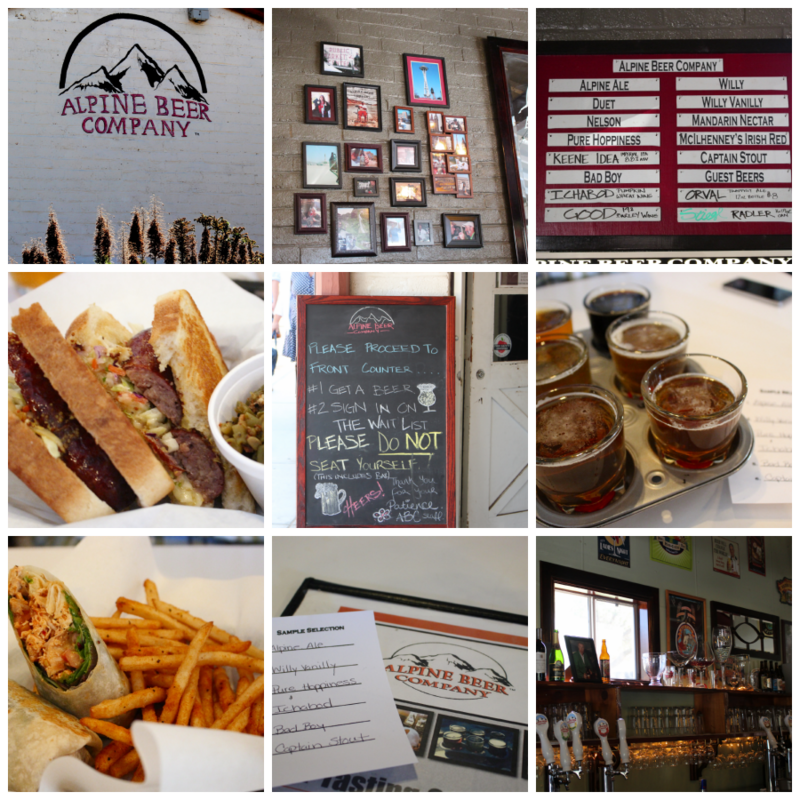 We headed out Saturday morning, planning to have lunch in Alpine at the Alpine Beer Company. Good thing too, I’m sure a meltdown would have ensued given the lines waiting to get into the diners and restaurants in Julian. 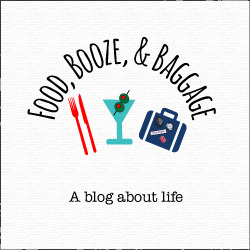 Like many of the booze + food experiences we have encountered in California, I was surprised and pleased with the food. We arrived around 11:20 and the place was already packed (they open at 11). We barely snagged the last table. The waitstaff, while busy, were incredibly friendly and you didn’t feel rushed. I had the sausage sandwich and was blown away by the flavor and the quality of the sausage. The texture was almost creamy (which sounds gross but it was not). I’ve never tasted a sausage that came across that way, it was GOOD. The slaw gave it a great fresh taste to balance out the meat. P’s buffalo chicken wrap was also great! The chicken was cooked in the buffalo sauce (not sliced chicken but pulled chicken). Their wings looked amazing and I’m sure the pulled pork would have been a good choice too. All of their beers were quality brews. I particularly liked the Willy Vanilly…it would make an awesome beer float. Side note: The Alpine beer store and their pub are in the same strip of stores. The beer store is at one end and the pub at the other. We got a little confused only seeing the beer store at first. I didn’t love Julian. It was too touristy, crowded, and well…touristy. It lacked that authentic feel of a small town. Maybe it has a different feel during a less popular time of year, but I was not wowed. All the stores seems so cheesy and souvenir oriented: toy store, candy store, t-shirt store…you could even get an old-timey picture made! Though we were not there to shop…onto the PIE! 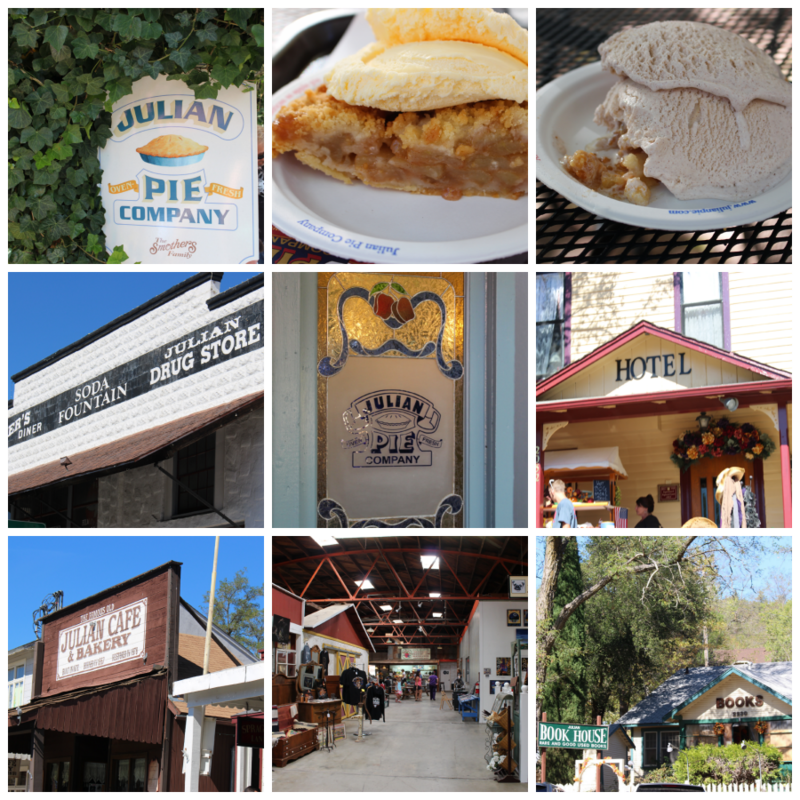 We decided to try the pie from the Julian Pie Company as it had the top ratings on most of the travel sites, and it is called pie company. 🙂 We waited in line about 20 minutes, it moved faster than expected and was well organized. We both went with the dutch apple pie al mode, I got the cinnamon ice cream and P the vanilla. The cinnamon ice cream was a bit over sweet, I liked P’s version better. The pie was good but I’ve had better, I did like the slight tartness from the apples. 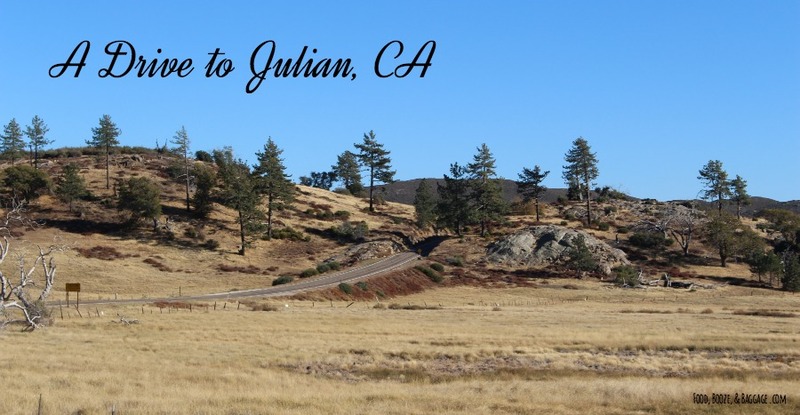 We also drove a little further to check out the Julian Hard Cider company. It was not quite what we were expecting. We opted not to wait and do a tasting. It was crowded, chaotic (only one worker), and I didn’t see us buying any, given the bright color of the samples we saw. The whole place had an odd feel (bottom, middle is a picture of the interior of the building). 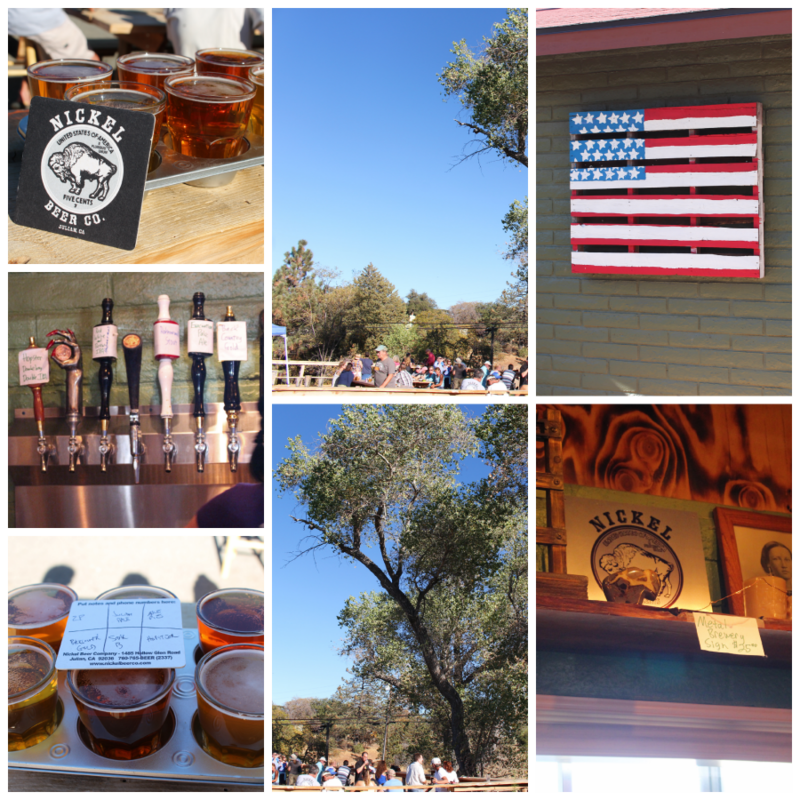 After getting our pie, we headed to the local brewery in Julian, Nickel Beer Company. It had an expansive outdoor space and a small tap-room. Here again was another line out the door, but it moved quickly and we had beers in under 20 minutes. By the time I waited to use the one bathroom (which was scary), P was ready to order. The beers were ok, most I rated a 3 or below; nothing special. The Star B Fresh Hop Ale was the favorite of the flight, P and I shared. It was a nice stop but not worth a trip just to go back. Like I said, this was the best part about the whole day! It had incredible views, and I was thrilled to see the change in landscape. It was a fun drive too. We threw the Mini in sport mode and had a little fun on the curvy roads (though the drive was also crowded, so not too much fun). As an fyi, when driving on curvy roads you brake into the curve and accelerate through, not brake in the middle. I want to go back and do one of the hiking trails we passed along the drive (and I’m not an outdoor kind of girl). I told P I’m ordering some hiking shoes, and we can take Sam for a little hike and picnic. I think it would be so fun! So, while Julian was not quite what I was expecting it was still an amazing day. 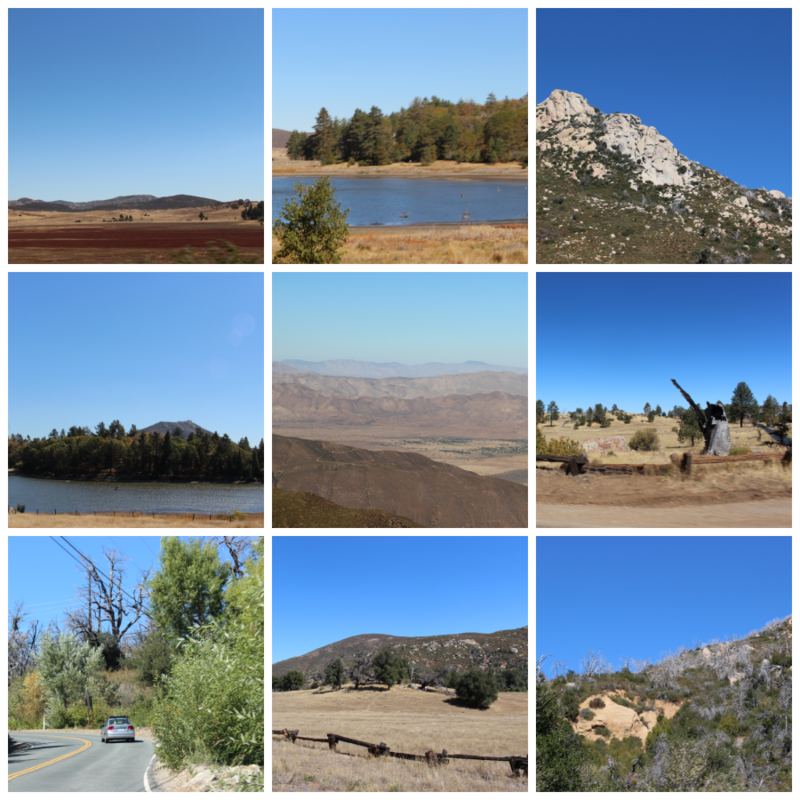 I was happy we decided to make the trip, because the drive was beautiful and the landscape different than in San Diego. Plus, you know, PIE. We will definitely be making another drive that way in the future. I’m sure it would be a wonderful drive for star gazing too!